Matters like the European borders, the human nature, artificial intelligence, creativity, innovation, and new forms of collaboration are very trendy these days. Indeed, they represent major interests for the young European generations, and not only for them. In these current times characterized in Europe by the growing interest for cooperation at the artistic, literary, economic, political and social levels, a new ambitious and meaningful project was born. 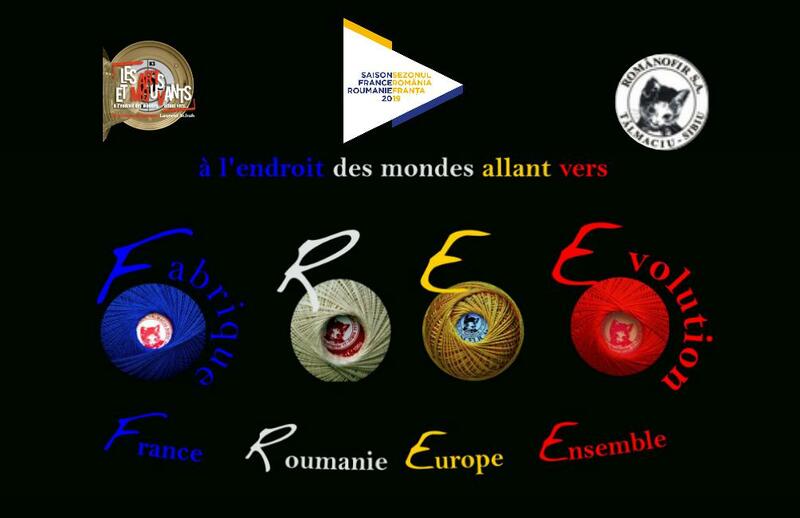 It is called “The Re-Evolution Factory, (France Romania Europe Together)”. The project benefits from the Crossed Season Romania-France 2019* label. Since its creation in 1985, the Crossed Season consists in a multitude of versatile, cultural, artistic, scientific, economic, and, or political events. Focused on the future, this year’s Season highlights will mainly focus on innovation, on artistic creation, on the young European generations, on motion and/or evolution and Francophonie. This event also creates the occasion to build a dialogue between heritage, culture and modernity, contemporary creation. 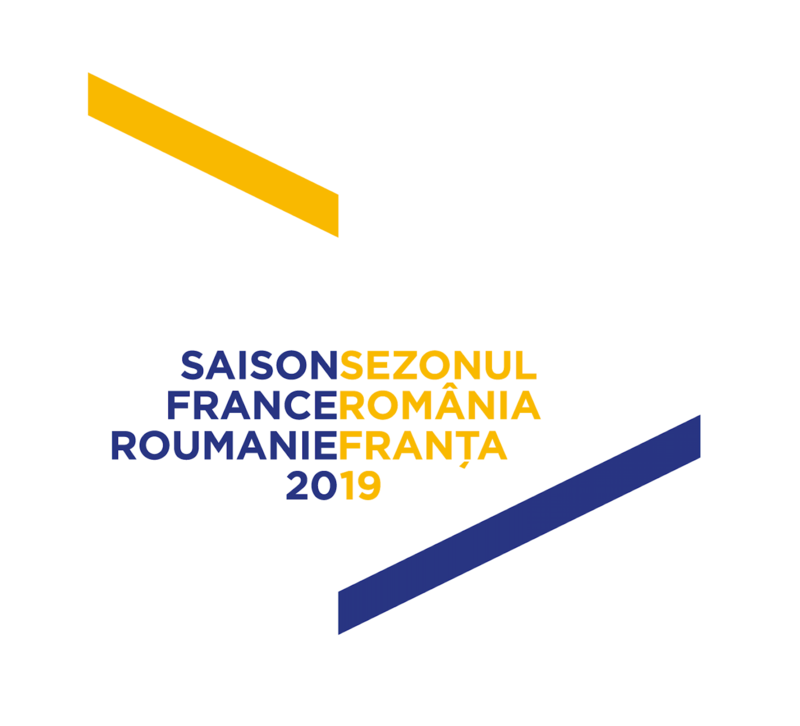 The Romania France 2019 Season will begin in France at a time of great importance for our country, during the exercise of the Presidency of the Council of the European Union by Romania. It will also celebrate two Centennials: the one of the Great Union & modern Romania and the second one celebrating the end of World War I. The event will start with The Romanian Season In France (November 27th 2018 – April 14th 2019). Then, it will be continued with the French Season in Romania (April 18th 2019 – July 14th 2019). > reaffirming the commitment of the two countries to a Europe of peace, ideas and cooperation. This is a transgenerational initiative with several dimensions: artistic, scientific, cultural, but also educational, durable and societal. Deployed in a 12 hectares area. In order to follow the historical paths of traditions, latinity, francophonie in the heart of Europe. An innovating project which overcomes geographical and language barriers. A perennial adventure situated within the Românofir spinning mill located in Tălmaciu (only 18 kilometres away from Sibiu). A giant creative laboratory which will give birth to a rich and colourful programme ”Blue White Yellow Red”. Hence, the Re-Evolution Factory is mean to become a space of innovation, construction, co-creation, transmission and participation. A space of freedom where everybody can express themselves and live their own cultural print. A space dedicated to European collaborations and exchanges, may they be artistic, scientific, cultural or social. This factory is created by Laurent Schuh & Nathalie Saïdi (also known as Litana Soledad), from Les Arts Et Mouvants*, and Constantin Lotrean**, the owner of the Românofir spinning mill, under the patronage of two important figures: Silviu Purcarete and Georges Banu, together with several other partners whose mission is to establish the right public-private funds balance. An Urban Factory in 3 stages (« Ô ! Le XXIe Cycle ») in Paris in 2012 – 2013, with the help of 50 partners and 200 participants, artists, scientists, associations, traders and group of regular people. An outdoor Rural Factory in June 2015 in Saint-Mathurin-sur-Loire, with the implication of 300 accomplices, participants, artists, scientists, associations, traders and regional inhabitants. “Emil & Un Cioran”: play created in 2011 and presented at the Béhague Palace in Paris with the occasion of Cioran Centennial. “Herzzeit, le temps du coeur / Herzzeit, heart’s time”: creation inspired from the dialogue between Paul Celan & Ingeborg Bachmann and presented in 2013 at Goethe Institute in Paris. “Tous les drapeaux me fatiguent/ All flags make me feel tired”: performance inspired from Cioran’s work and presented at the Avignon Festival in 2015 and in 2017 in Paris. Laurent, as a ‘poetrycian’ within its group called “Emil & Un Visage”, continues to organise concerts with texts inspired from the writings of Ghérasim Luca and Tristan Tzara. « Tică » – a businessman with a great passion for culture and history – wants to start a dialogue between the past rich cultural era and the contemporary period. That’s why he decided to open the gates of his mill and invite different forms of art and/or science. The Re-Evolution Factory will be situated at the centre of the Românofir spinning mill from Tălmaciu. In a very beautiful touristic region in Romania, only 18 kilometres away from Sibiu. The spinning mill has several spaces that will host different cultural activities: a 350 seats movie theater, a 2000 square metres mill with 3 levels and 6 stages, a covered market of 800 square metres dedicated to shows, an outdoor agora, a big swimming pool, a restaurant, a coffee house, a football ground, and many other areas. The Re-Evolution Factory: France Romania Europe Together will be a place full of life, in continuous evolution, with various activities that will generate enriching meetings and events / creations, full of emotion and warmth, around the three main axis of the project: Creation – Transmission – Participation. A space of synergies around the five major themes in 2019: The Thread – The Frontier / Border – The Woman – The Ghost – To Inhabit. PERFORMING ARTS: Theatre / Dance / Circus / Puppet shows / Music / Gastronomy. Within this project, it will also be presented the autopsy of a ghost, under the form of a multidisciplinary journey which will be created after many in situ laboratories joined by students from different universities and performers from the various partner theater institutions. Directors and creators such as Ana Dumitrescu, Bagheera Poulin, Silviu Purcarete, Matteo Bavera, Alexandru Boureanu will also be part of the project. The Re-evolution will start with the show „Nu mă uita! / Don’t forget me!”, directed by Laurent Schuh for The National Theatre from Târgu-Mureș. There will be 25 Romanian and Hungarian performers. The first three shows will be held on May 17th, 18th and 19th 2019. 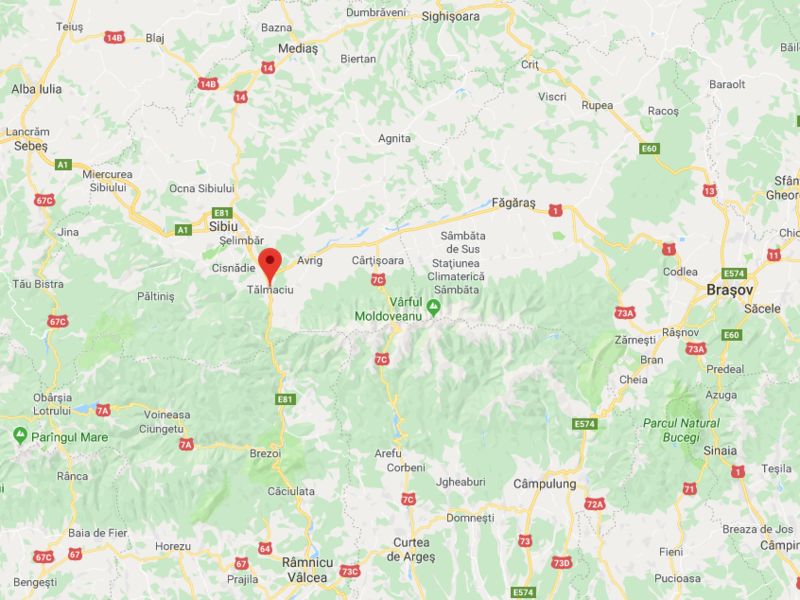 …which will take place in the heart of the spinning mill from Tălmaciu thanks to the complicity of the various international and local partners. TĂLMACIU : Saturday, November 10th, 3 PM at Românofir – visit of the spinning mill area followed by an appetizer, in partnership with Românofir and the Francophone Affairs Club from Sibiu. the following numbers +33 660 885 305 / +33 620 385 472. 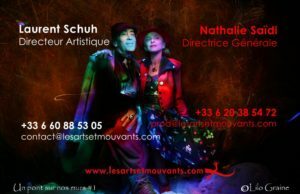 You can also write an email to prod@lesartsetmouvants.com to register for an upcoming meeting.